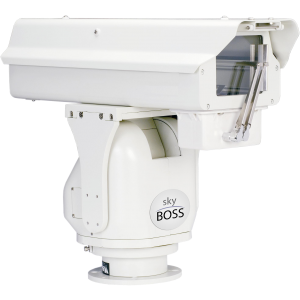 Lamar Systems SkyBoss HD+IP - Fiber Group Inc. The goal of the HD+IP is to give you one camera for all of the screens you broadcast to ( web, TV, etc. ). With full integration with our TimeLapse+ server, you can build a network of beautifully timelapsed cameras that will simultaneously broadcast two full 1080p h.264 streams, and 2 other streams that can be set to smaller resolutions for web streaming, etc. We designed the system to allow multiple users to control the system using multiple interfaces. So you are able to control the system with more than just a hardware joystick controller. The HD+IP cameras have a built in IP control interface that allows for easy control over Pan and Tilt, preset functions, as well as exposure and paint controls for the camera.